The decision is the first to be decided among scores of arbitration claims from brokers who jumped to firms other than Wells Fargo Advisors, Credit Suisse’s preferred refuge for its former employees. The advisors have sought back pay and, in some cases, balances they paid on promissory notes, while Credit Suisse countered for alleged overpayment of commissions. A three-person arbitration panel in Boston awarded the amount to Brian Chilton, who worked at Credit Suisse Securities (USA) from August 2012 to early 2016, when he left for Morgan Stanley. Chilton at the close of his arbitration hearing sought compensatory damages ranging between $1.93 million and $3.47 million plus interest, attorneys’ fees and costs, according to the award document published on the Financial Industry Regulatory Authority’s dispute resolution website. 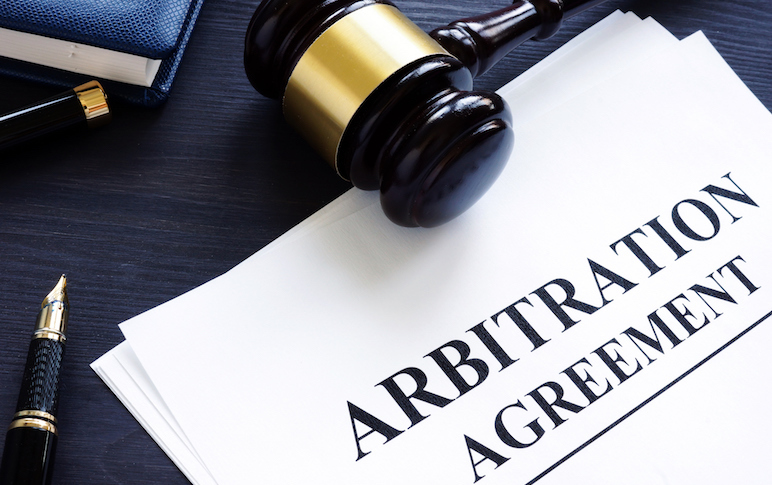 The arbitrators, two of whom were public representatives, awarded Chilton $863,328 in damages, interest and attorneys’ fees, which it offset with an award to Credit Suisse of $18,706.63 that the firm claim he owed in arrears. Attorneys’ fees comprised $146,326.80 of the award to Chilton and $3,741.33 of what he was told to pay Credit Suisse. The panel also ordered Credit Suisse to expunge Chilton’s registration records with regulators, and to change its explanation of his March 16 ‘voluntary” termination to having been fired “without cause.” Credit Suisse had sought the return of $20,000 and its attorneys’ fees. “It was a complete and huge victory, not only for Mr. Chilton but also for the other relationship managers who are suing for their deferred compensation,” said Barry Lax, the New York-based lawyer who represented the broker. The bulk of the award represented almost 40,000 shares of unvested Credit Suisse stock that the bank had canceled when Chilton left in March 2016, Lax said. Changing the reason for his departure from “voluntary” resignation to fired “without cause” triggers an automatic vesting under terms of Credit Suisse’s contracts with its brokers, the lawyer explained. The size of the award trailed Chilton’s claims in part because arbitrators calculated legal fees as if they were charged on a contingency basis rather than on the hourly rate formula that Lax had sought. Credit Suisse announced in October 2015 that it planned to shut its U.S. brokerage business, telling its approximately 300 brokers that they would be able to retain their deferred bonuses if they moved to Wells Fargo Advisors. Just over one-third of the brokers joined Wells Fargo, while UBS hired 101 of them and Morgan Stanley nabbed 67 of them, according to a document reviewed by AdvisorHub. Credit Suisse has a raiding case ongoing against UBS for its hiring of the brokers. Advisors and their lawyers who are seeking back pay said the Chilton decision highlights the hypocrisy of the bank’s actions after it deprived them of a place to work. “The award is significant because the panel rejected CS’s argument that it can shut down its U.S. private bank without paying any compensation to FAs who had their deferred compensation forfeited,” Rogge Dunn, a Texas-based employment lawyer who represents some former Credit Suisse brokers, wrote in an email. Any implication that Credit Suisse was punishing brokers who went to banks other than Wells Fargo “is categorically false,” Byrne said, noting that a federal court in California recently dismissed a case filed by a former broker who was “seeking to be paid the same money twice.” She was referring to the practice of some hiring firms to compensate newly hired brokers for bonus money or other deferred compensation left behind at their former firms. CS is disgusting. They lied to advisors and staff for months about what was going on. They screwed so many people and stole hard earned money from countless employees. This is true justice. This is the beginning of a whole slew of lawsuits/arbitrations. The CS people acted very badly in how they handled their “exit.” Its a shame that they cant just own up to what they did and turn the page. Lots of info is coming out…they have unclean hands. The Private Bank had lost money for years and the strategies SriniVasan used successfully in Prime could not work for the Private Bank. He failed in two large ways. He couldn’t understand what was needed to grow business in the various branches and he exacerbated a terrible expense problem by adding unnecessary IT spend and an empire in Mumbai that was incapable of supporting the US after 11am. The top end brokers were caught up in this management disaster and were forced to subsidize wealth management’s version of the United States Postal Service. Credit Suisse is evil. Criminal enterprise.